PARIS, France (PAMACC News) - The World Bank in partnership with the African Development Bank (AfDB) and the World Meteorological Organisation has announced a six hundred million programme to improve hydrometeorological services in 15 West African countries. 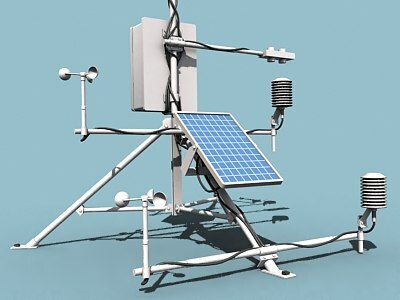 The Programme dubbed, Strengthening Climate Change and Disaster Resilience in Sub-Saharan Africa, aims at improving meteorological services in Africa where most countries have poor infrastructure and lack modern technology for reliable and timely capture and transmission of meteorological information to the public. In his opening remarks during a side event at the on-going Climate Change conference in Paris, Jeremiah Lengoasa, Deputy Secretary General of the World Meteorological Organisation bemoaned the poor infrastructure and technological capacity of most meteorological departments in Africa. “These services are key to strengthening resilience to climate change by providing early warning services... But the truth is that most meteorological services in the region are not able to provide the requisite information for decision making, not because of their own making but due to lack of infrastructure and modern technology to deliver reliable services”, said Mr. Lengoasa. According to Mr. Lengoasa, the Programme is therefore aimed at improving capacity pinned on three principles: improving national meteorological services competence, regional competence and partnerships of various players in the meteorological services chain. He said it was unfortunate that some programmes are designed in the context of leaving a legacy rather than the consideration of partnerships which is a key element to attract investment and sustainability. “A lot of initiatives are being done without partnerships but based on legacy…but this initiative is an investment initiative that, if well coordinated, should achieve a step change”, Mr. Leongasa said. And speaking at the same function, AfDB Vice President Aly Abou-Saaba said the programme responds in a timely manner as Africa is already struggling with effects of climate change, adding that the intervention resonates well with the CLIMDEV initiative that the Bank is supporting to modernize both country and regional meteorological services in Africa. “Most of you who have been following our side events know that the Bank has pledged doubling of its support to climate initiatives up to 40%. However, this will only happen if the countries involved also contribute some marching grants. This will help create a good sense of ownership of the programme”, said Mr. Abou-Saaba. Meanwhile, delivering her Keynote, Laura Tuck, Vice President of the World Bank Group highlighted the serious challenges that the African continent faces due to climate change and the danger of millions of slipping back into poverty if measures to help them to adapt are not put in place. “Africa has been experiencing a steady growth for the past decade but this growth is under threat… As many as 100 million people could slide into extreme poverty due to climate change”, said Ms. Tuck highlighting the findings of a recent report by the Bank, entitled, ‘Shock waves’. Ms. Tuck said serious investments are required in the meteorological services in Africa adding that only ten percent of the World Bank’s 500 million dollar support to meteorological services globally, goes to Africa. Echoing the importance of reliable weather services to climate change adaptation, French Minister of Development and Francophonie, Annick Girardin, said it was hard to imagine a world without weather forecast information. “Weather forecast is the first step to climate change adaptation. Being without weather forecast is in itself a serious vulnerability”, Ms. Girardin said. And on its part, the Economic Community of Western African States (ECOWAS), the hydromet programme is a timely intervention in a region where floods and drought are synonymous with a normal way of life. “Prevention is only possible through reliable information. ECOWAS is the most vulnerable region of Africa to floods”, said ECOWAS Commissioner, Fatimata Dia Sow, on a high level panel discussion which included Ms. Aida Diongue Niang, Director of the National Agency for Civil Aviation and Meteorology in Senegal, Mr. Djibrilla Maiga, Director General of Mali Meteo, and Dr. Richard Jones, a Science Fellow at the United Kingdom’s Met Office, who all shared critical insights into the importance of reliable meteorological information for climate change and disaster resilience.